Over 1 day/2 nights be guided over the Whitecliffs walk by our experts. Part of this walk follows the Maui pipeline with spectacular views of Mt Taranaki through privately owned farmland and Ngati Tama private land. The landscape is both dramatic coastal and forestry terrain. You will also visit the galleries of two of Taranaki’s renowned artists as well as experiencing genuine country hospitality whilst there. A soak in the Taranaki Mineral pools will be your final stop for the day before returning to your boutique accommodation and dining experience. Taranaki's leading luxury boutique accommodation, the Nice Hotel, New Plymouth, will be your home for the next three nights. You will be welcomed by the proprietor, Terry Parkes or Cathy Thurston, who will be your host for the evening. Join Terry for a cocktail and nibbles (he may even show you how to make them) followed by dinner and a few local stories. These have beena hit in the past (nights to remember). Or if Terry is away join one of Terry's chefs and experience a lovely wine and food matched dinner. You will also meet your guide for your walk who will give you a briefing about the next day and check you are suitably equipped for the walk. You will then be ready to retireto your beautiful accommodation to enjoy a restful night’s sleep. After a hearty breakfast at the Nice Hotel, you will collect your tasty lunch packs from the kitchen before boarding the coach and travelling North. As expected you will have a caffeine fix provided on the way to keep the adrenalin pumping. 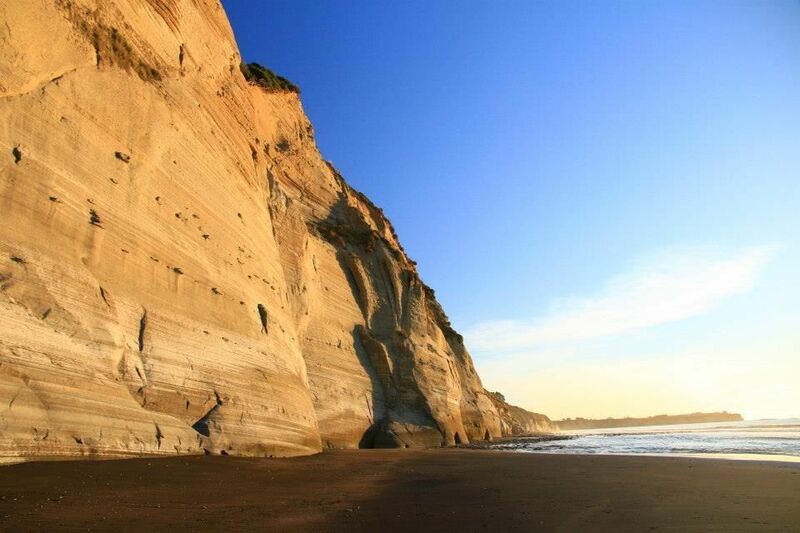 The Whitecliffs walkway uses the Kapuni to Auckland gas pipeline route from Pukearuheand offers stunning views of the North Taranaki coastline and the Parininihi Marine Reserve. The laying of the pipeline opened up walking access to the dramatic forest and coastal country of the region. The walkway crosses privately owned open farmland and Ngati Tama private land. Along the way your guide will share their local knowledge, set a relaxed pace and pick the best places for breaks, lunch and photo opportunities. Once you have walked along the beach and through the stunning bush you will be collected by your coach for the return journey. 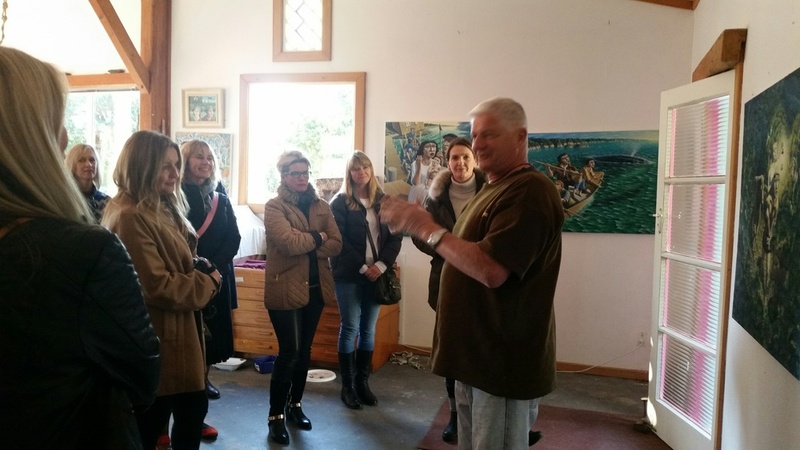 On your way back you will visit the homes of renowned artists who have adjacent houses on a 35 acre farmlet adjacent to the mouth of the Mimi River and Waitoetoe Beach. The property is cooperatively owned and its natural coastal scenic beauty is enhanced by many years of conservation effort. At the first property your hosts will be John, a well-known artist and writer and Chris who specialises in art assemblage and country cuisine. Here you will experience a taste of the real country afternoon tea in a warm and cosy home environment. You will also have the opportunity to explore the garden and artists studio and hear about John and Chris's work. Next door is the home and studio for Howard and Jill which you will also have the opportunity to visit. Howard’s interests are in carvings and sculpture. He works in wood and stone and likes to use local materials that he knows the history of and gathers himself. 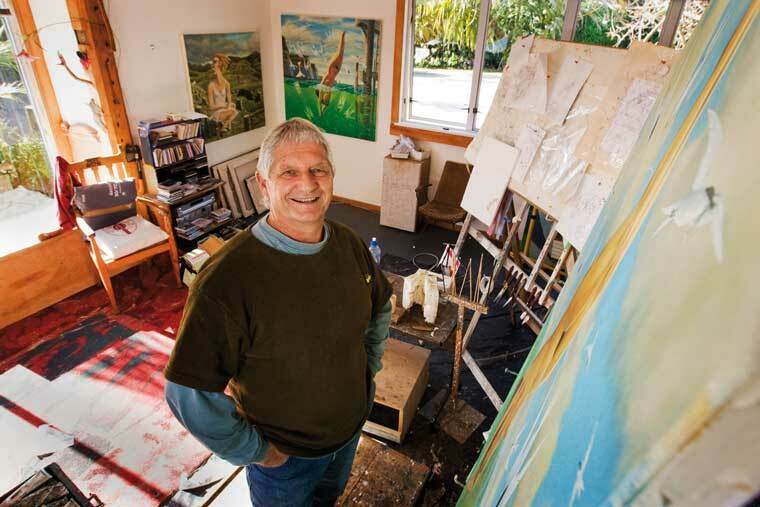 Howard thinks of his work as an expression, a connection to his surroundings, in particular the Taranaki coast, where he lives. Beach stones, windblown sand, driftwood and water all provide inspiration for texture and form. After your delicious tea, board your coach for the trip to New Plymouth where you will visit the Taranaki Thermal Spa and have a chance for a well deserved soak. Here you can relax your mind and bathe in 29,000 year old mineral water. You will then be driven to the Nice Hotel for your final evening on the trip. At 7pm meet in the bar at the Nice Hotel before proceeding out to enjoy dinner at another local restaurant that has been arranged for you. * As part of the tour price a contribution will go to Tiaki Te Mauri O Parininihi Trust for pest control, species recovery and translocations particularly of the kokako. Don started his extensive career as a raft guide in 1979. His passion for sharing the outdoor world is impressive. He has worked since those early days on 4 continents as an outdoor education teacher, mountain and river guide, outdoor pursuits instructor and a consultant. He is highly regarded in the outdoor industry and has been involved with the development of many outdoor instructor qualifications that are available in New Zealand. Many current instructors have at some stage been trained or assessed by him. Don operates to the highest standards, which ensures that all the work he does is client focused, safe and follows current industry practice. Don kayaks, climbs, skis and runs. He ranks in the top 3 of his grade in orienteering and has recently done well in multisport and adventure racing. Don's qualifications include the highest New Zealand Outdoor Instructor's Association awards. He is a Skills Active Assessor for Outdoor Recreation and Recreation Management standards. Don is also a Senior Raft Guide with the New Zealand Raft Association. Christine has been working and playing in the outdoors, guiding and instructing for over 20 years. Tramping, mountaineering and rock climbing are particular passions that have led to many exploration adventures around New Zealand and overseas. She has navigated many New Zealand rivers by whitewater kayak, as well as lakes and coastlines by sea-kayak. Sharing her love of the outdoors has led to her guiding numerous adventurers and novices around Taranaki from the iconic Mt Taranaki tracks to trails that take in picturesque landmarks like the White Cliffs. Christine's qualifications includea Bachelor of Physical Education, an Assessor in National Certificate level 3 Outdoor Recreation including bush, NZOIA Rock II, Kayak I, Sea Kayak I and Assessor and Raft Guide II. Christine is also a Skills Active Assessor. Melanie grew up in the Waikato and spent her summers tramping locally and in Tongariro National Park and the Coromandel. Despite trading the tracks for the beach in her later teenage years, Melanie’s interest in tramping was piqued again in her university years when she joined a couple of international students in tramping the Cape Reinga Walkway. Shortly after university Melanie moved to Vancouver, Canada and subsequently Seattle, USA where she was able to ‘hike’ the Pacific Northwest national parks with the added bonus of seeing the occasional bear. Melanie is self-employed as project manager and works primarily on projects related to corporate social responsibility and philanthropy. Melanie has a Bachelor of Arts in French & Spanish and has been known to teach the odd Spanish class and do a spot of translation work. Melanie has also held roles in operations management, research, business consulting, IT project management and data analysis. Melanie loves to travel within Aotearoa and internationally and enjoys meeting new people. She loves to see others getting closer to nature and enjoying our beautiful outdoors.